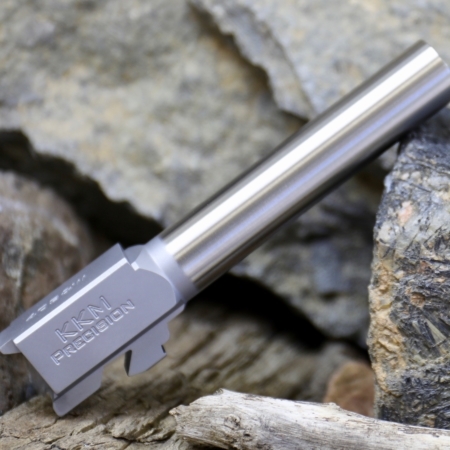 All KKM barrels are made using certified 416R gun-barrel quality stainless steel bar stock. 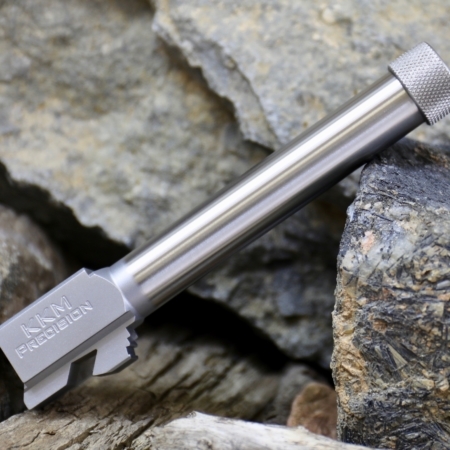 Our barrels are then heat treated and vacuum tempered to 42 RC. 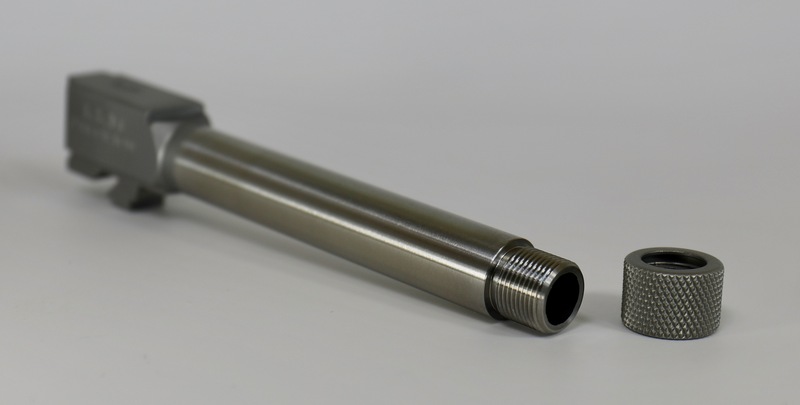 All of our barrels are CNC machined to obtain superior dimensional tolerances over stock. 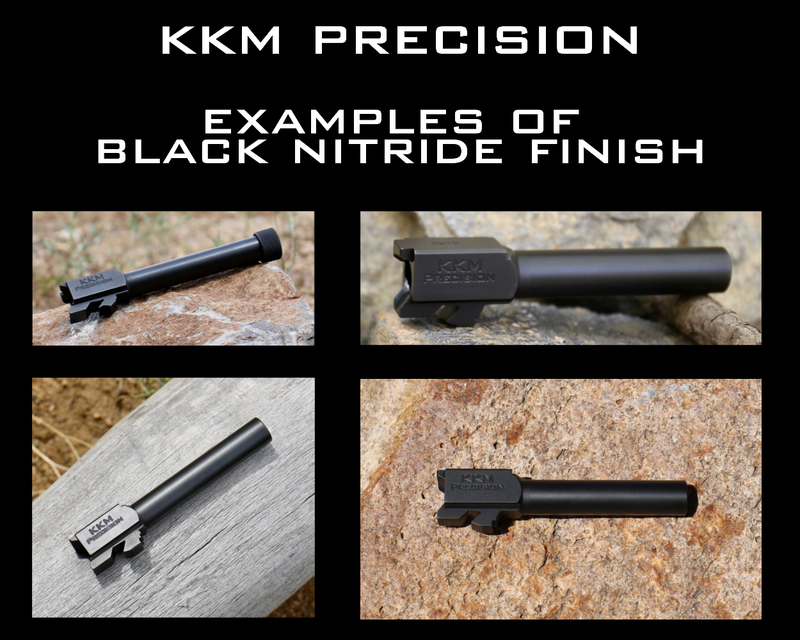 Our advanced proprietary button rifling process allows KKM barrels to offer greater accuracy over stock barrels. 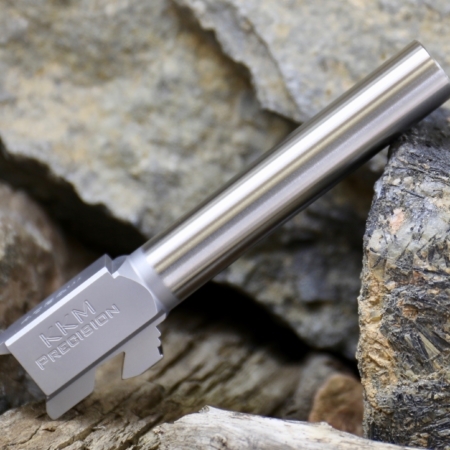 Our Glock barrels come with fully supported SAAMI spec match chambers for shooting factory or reloaded ammunition as well as lead or jacketed bullets. 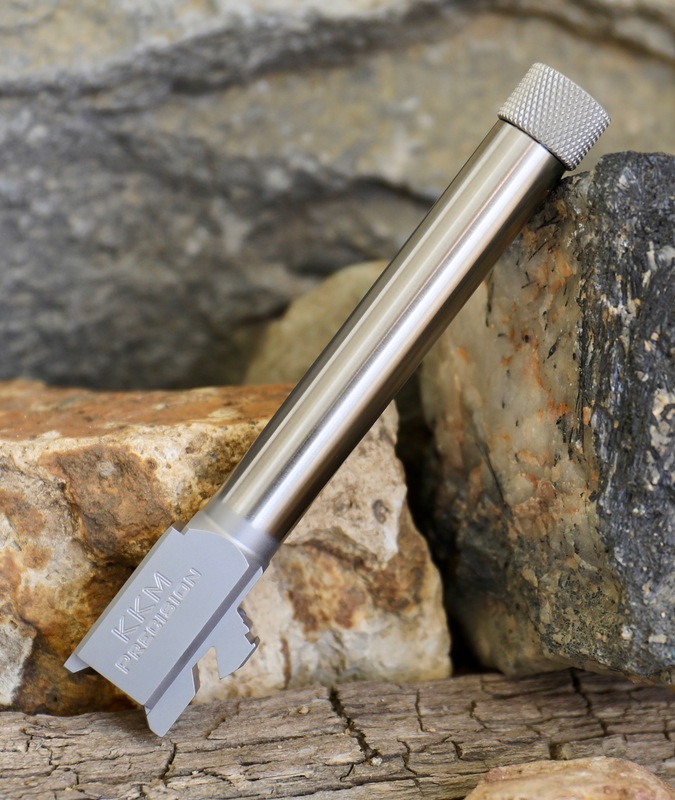 Unless noted all barrels are drop-in fit. 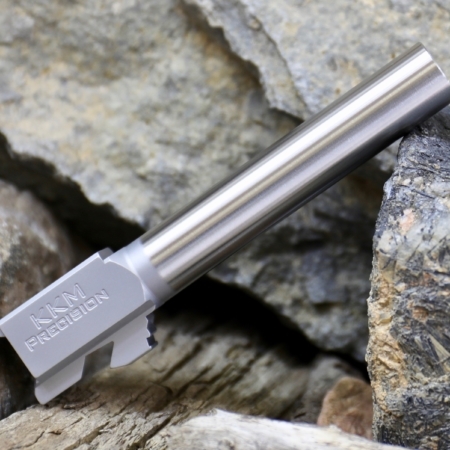 Note: All suppressor thread barrels come with a thread protector.